Dispatch® Disinfectant w/Bleach : Balego & Associates Inc. - BalegoOnline.org, Providing the Products You Want and the Services You Need Since 1984. 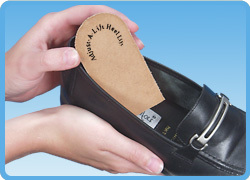 • Kills TB in 30 seconds at room temperature on hard, non-porous surfaces. EPA-Registered to Kill Clostridium difficile Spores in 5 Minutes! Cleans and disinfects environmental surfaces and medical equipment as well as hospital, veterinary and food contact, and hard non-porous surfaces in one step. Unique detergent and bleach dilution strength (6500 ppm NaOCl) is equivalent to the 1:10 bleach solutions recommended by the CDC for disinfecting. 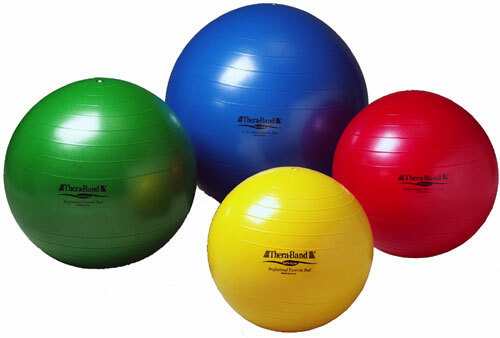 Meets both Universal and Standard Precautions set forth by OSHA and CDC. 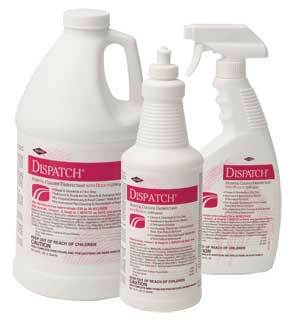 Unique, stabilized bleach and detergent solution: DISPATCH® is a more convenient than 1:10 bleach solutions such as those recommended by the CDC for infection control protocols on many dimensions. It is more stable than bleach solutions and more pleasant to use. DISPATCH® remains stable through expiration date (two years from manufacture), unlike bleach solutions, which begin to deteriorate immediately. It is an excellent cleaner because it contains detergent and also contains an anti-corrosive ingredient that minimizes damage to surfaces and equipment. DISPATCH® is economical too – its ready-to-use format is easier to use. Concentrated bleach solutions are time consuming to dilute, must be diluted daily, and the diluted solutions must be discarded after 24 hours. *Based on Federal EPA registrations as of September 2010. C. difficile spore claim has been registered by the Federal EPA and may not yet be available in all 50 states. Check with your sales representative for updates in your State. Use as directed on pre-cleaned hard nonporous surfaces. Can be used for cleaning and disinfecting hard non-porous surfaces such as plastic, plastic laminate, stainless steel, fiberglass, and glazed porcelain. Use in healthcare locations including hospitals, physician offices, dental and veterinary clinics, outpatient clinics, laboratories, nursing homes, and ambulances. Useful on countertops, blood glucose monitors, carts, exam tables and chairs, gurneys, mattress covers, bed railings, respiratory and physical therapy equipment, and stainless steel equipment such as IV poles. May be used on food contact surfaces and as an instrument pre-cleaning spray or immersion solution. There currently are 743 guests online.